Medical marijuana has been integrated into various treatments over the years but has yet to reach peak popularity. People do not usually expect that something labeled as a “Schedule I Controlled Substance” might be so beneficial for patients suffering from severe medical conditions such as cancer or lupus. The success rate among contemporary doctors who wish to try every possible treatment in the quest for new medical discoveries is relatively high. Even so, there is one particular compound that is gaining more popularity by the day. We are talking about marijuana, but not in regards to its psychoactive effects but rather to the medical benefits. In just a few decades, the plant went from being regarded as harmful to becoming a substance for recreational use. 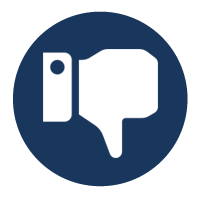 Thanks to the social media offering new pieces of information, people have reached for a more permissive point of view. Currently, the U.S. FDA does not approve marijuana use. Nevertheless, there is sufficient clinical evidence in regards to its reliability. Solely because of this aspect, medical marijuana has all the chances to become a possible treatment in the near future. 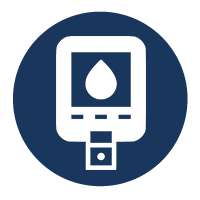 2.1 Can Medical Marijuana Help Diabetes Patients? 4.1 Is Medical Marijuana Taxed? 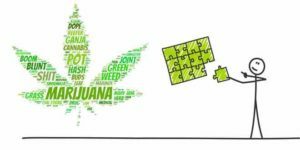 The number of research projects on marijuana’s chemical structure, and possible benefits have grown over the past decade. 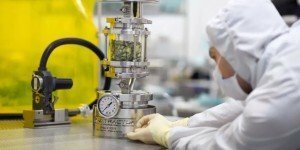 The newly manifested interest has led to the plant’s integration in the formulas of numerous products such as concentrates or capsules. Experts are currently conducting studies to assess once and for all marijuana’s mechanism of action, non-psychotropic properties, and benefits. Cannabis Sativa, more commonly known as marijuana, is a perennial herbaceous plant belonging to the family of Cannabaceae. It can grow up to five meters high and is recognized after its leaves. Native to the eastern Asian regions, it is now cultivated in many other parts of the world thanks to people’s increasing interest. The tropical climate seems to be the most appropriate for its growth, but it can adapt to other environments as well. The flowers are unisexual, with some being male and others female. The male ones are rich in fibers and usually die before the female. The latter produces seeds that are used to extract oil. In India, people obtain different types of narcotics as the by-product of leaves, unfertilized inflorescences, and crude resin. 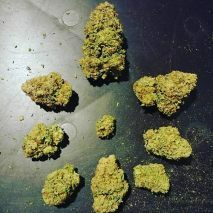 There are different marijuana varieties, each with particular nutritional value. The plant is rich in fats, proteins, and water, but can also contain iron, magnesium or calcium to a greater or lesser extent. After planting, producers wait for about five months before harvesting. This period is enough for releasing the psychotropic and non-psychotropic compounds. 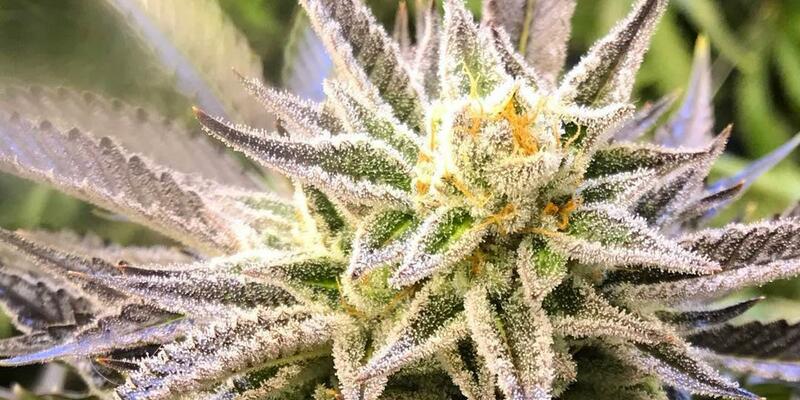 THC, the most popular, is responsible for the way people regard the plant. 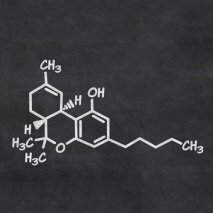 Another important compound, cannabidiol, has started presenting more interest for researchers. Studies conducted on marijuana’s chemical composition indicate that the plant has no less than 500 active compounds known to this date. The majority is constituted by psychotropic constituents such as THC. Around 113 of them are cannabinoids. Additionally, about 2000 compounds such as sugar or amino-acids are released into the air during smoking. 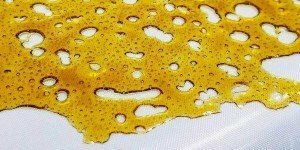 While there is data on pretty much every major constituent, researchers have focused more on THC and CBD. Data shows different and even contrasting manners of action of the two substances upon interaction, in spite of being compounds of the same plant. Marijuana is known as a sedative, analgesic, tonic and intoxicant plant. Indians convert the narcotic into edible substances such as bhang or ganja. Both seeds and leaves have been employed in treatments for cancer patients. Experts believe that marijuana might be successfully integrated with medication for ulcers, asthma, depression, epilepsy, inflammation, insomnia or rheumatism. The National Institute of Occupational Safety and Health deem the plant as toxic due to the presence of elements such as nicotine and piperidine in its composition. It also contains a series of about 120 terpenes and sesquiterpenes like myrcene or alpha-terpinolene that offer it its aroma. An overdose of non-processed marijuana might lead to cardiac failure and even death. However, medical marijuana is generally regarded as safe. The impact on the human body is different because of this aspect. THC is the primary active constituent found in marijuana. 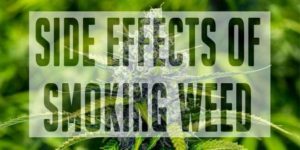 Whereas many people use it as a recreational substance, studies point towards multiple side effects due to its pharmacological nature. If the use is prolonged, it can cause addiction. In marijuana, THC is involved in the self-defense mechanism. 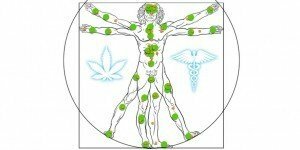 Data asserts that the element interacts with the body via the CB1 receptor of the endocannabinoid system found in humans. It also acts on the CB2 receptor but to a lesser extent. The psychoactive properties are the result of mesolimbic dopamine system activation following adenylate cyclase inhibition. In rodents, the compound leads to dependence and triggers the occurrence of withdrawal symptoms due to an increased tolerance to CB1 agonists. In one study, monkey subjects expressed an aggressive behavior after an induced substance withdrawal. In human models, the psychological response seems to be even more severe with anger, anxiety, weight loss, and cravings as a consequence. The status of THC as an illegal drug does not impede it from having certain benefits. The substance might protect neurons against the risk of oxidative stress following interaction with the CB2 receptor of the immune system. There is information according to which it might provide relief from nausea in cancer patients following chemotherapy. Later discoveries attribute it a significant role in various treatments, ranging from those for bladder dysfunctions to Alzheimer’s disease and even Tourette syndrome. Even so, experts have noticed in many of the examined subjects various adverse reactions such as dizziness, disturbed perception, and even hallucinatory experiences. Additional research is needed for the mentioned data to be reliable. It appears that THC is most potent when inhaled, with the first signs being noticed within thirty minutes from the first inhalation. The degree of bioavailability seems to be lower in the case of oral ingestion. Extended use of tetrahydrocannabinol affects the lungs and liver. 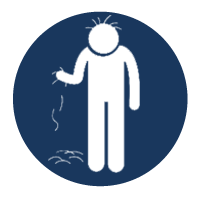 Indirect exposure can occur in the case of people being passive smokers. The substance was also found, albeit in small doses, in the blood and urine of children who drank the milk of cows fed naturally growing cannabis vegetation. Such is the situation of infants whose mothers smoked joints while breastfeeding. CBD is the main phytocannabinoid found in marijuana. 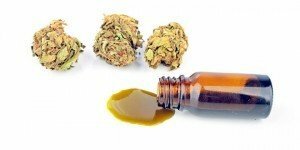 The other major compound aside from THC, cannabidiol constitutes the subject of numerous studies nowadays. In the light of recent clinical trials, scientists stated that CBD has opposite effects to those of THC. When used in moderate doses, it even counteracts tetrahydrocannabinol’s action on the body. The constituent is generally regarded as safe, with notable psychological results in most projects. In vivo and in vitro trials involving animal models as well as human ones have shown anti-inflammatory, antioxidative and anxiolytic properties. The relevant research concludes that CBD could be successfully integrated with treatments for people with anxiety and depression. Clinical studies suggest that oral administration might lead to different results in the case of rodents and humans due to higher doses being used in the animal ones. Reduced fertilization is among the reported consequences. 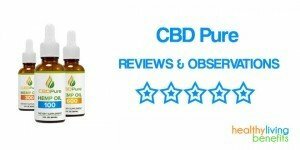 Some reviews imply that CBD might impede the activity of drug transporters and inhibit the hepatic drug metabolism. Cannabidiol has been tested in a number of experimental models with autoimmune medical conditions such as hepatitis or multiple sclerosis. Results have shown that it suppresses the body’s inflammatory response by acting on multiple anti-inflammatory pathways at the same time. Marijuana’s influence in the human body can be attributed to the cannabinoids’ interaction with the CB1 and CB2 receptors. These two elements are the cannabinoid equivalent in humans, being a part of the endocannabinoid system together with their activating binding molecules and their correspondent metabolizing enzymes. THC and CBD are the two marijuana compounds that act as CB1 and CB2 agonists. Other constituents are either antagonists or partial antagonists but have little influence on the endocannabinoid system due to their presence in small quantities. Studies are looking at possible benefits of cannabinoids on both the central nervous and immune systems. It appears that marijuana has an impact on memory, cognition, and perception following the use of a moderate dose. 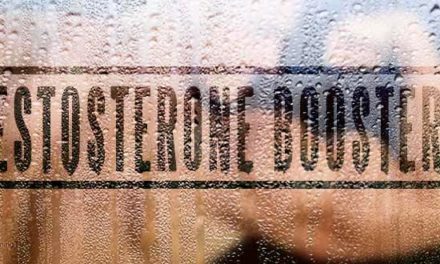 There is raised concern about how it affects the endocrine system. A number of behavioral symptoms like feelings of euphoria or altered perception have been noticed in most trials. Evidence for marijuana dependence has been observed in controlled experiments involving subjects with alleged withdrawal symptoms. The drug’s mechanism of action is not fully clear. Research provides us with data on how it exhibits influence on metabolism, appetite, blood pressure or sense of reward. Moreover, we know that due to its lipid-like profile, the body easily absorbs it. The bioavailability after oral ingestion seems to be lower than after smoking. The medical use of the former has been greatly appreciated lately because of this reason. Experts have tried integrating medical marijuana in numerous treatments, from those for cancer to those for irritable bowel disease ones. 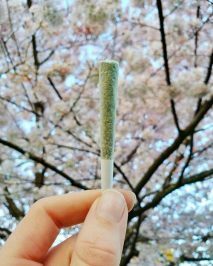 Legalization might be a key aspect in increasing the number of studies on the substance’s chemical structure and benefits. Can Medical Marijuana Help Diabetes Patients? It appears that marijuana could be successfully employed in therapies for alleviating neuropathic pain. Smoking marijuana might protect against type 2 Diabetes mellitus (DM) to some extent. The conclusion showed lowered risks of DM in past users due to a high cannabinoid presence in marijuana’s structure. It seems that cannabinoids are linked to anti-inflammatory and antioxidant properties upon interaction with the CB1 and CB2 receptors. In another study, experts have shown that usual marijuana use is associated with reduced prevalence of both DM and obesity. The substance’s action was established based on a trial conducted on patients with non-alcoholic fatty liver disease (NAFLD). The results suggested a decreased incidence of DM in users (52%) compared to non-users (15%). This does not change the fact that most population-based studies are either inconclusive or not quite detailed. It would be unsafe to draw conclusions on the marijuana use- NAFLD relationship. Marijuana could be useful in DM patients suffering from neuropathic pain. In a 2-week clinical trial, sixteen subjects aged 18 and older with painful diabetic peripheral neuropathy were exposed to two compounds, namely placebo and either low, medium and high THC doses. Analysis showed possible analgesic effects in most models. Patients confessed to having noticed symptoms such as sleepiness and euphoria after administration. There are numerous other projects pointing towards no association between marijuana and DM. Additionally, others suggest the substance might actually contribute to diabetes’ occurrence. A case-control study showcased marijuana’s action on past and present smokers, associating it with adipose tissue insulin resistance. There was no difference between smokers and non-smokers regarding insulin insensitivity and glucose tolerance. Obesity and increased appetite were noticed in animal figures, but it appears that marijuana does not exhibit the same properties in humans. However, existing data links the substance use with a higher risk of diabetes in adults. Controversial conclusions are an item in this domain as well. More research on the association between marijuana and Type 2 diabetes is needed in order to clarify the current pieces of information. The pharmacological importance of marijuana and its compounds, the cannabinoids, was studied for years before being regarded as promising in the case of people who have cancer. Cancer might be another medical condition whose symptoms the marijuana use could alleviate. The disease represents a mined land for many of today’s experts. All sorts of substances have been integrated as a means to help patients, if not outlive cancer, than live longer after being diagnosed. 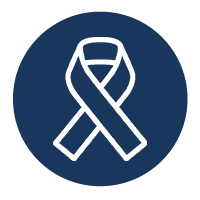 Recent in vitro studies have shown positive influence on an entire array of tumors such as prostate carcinoma, neuroblastoma, skin carcinoma or thyroid epithelioma. Preclinical projects indicate that THC and CBD are involved in the apoptosis process, and might be helpful in targeting cancerous cells. Notably, CBD is believed to block certain pathways responsible for angiogenesis. Treatments of skin carcinoma revealed the properties it has on cell proliferation and migration. It is worth noting that by acting on the endocannabinoid system’s receptors, CBD exhibited visible anti-tumorigenic properties in rodents. Cannabinoids could also provide relief from certain chemotherapy-induced symptoms such as insomnia, nausea, vomiting or drastic weight loss. As of today, synthetic THC is included in therapies for neuropathic pain. In six preclinical trials, experts have found evidence regarding the action of cannabinoids on neuropathic pain. Mice models registered decreased pain levels following a cannabidiol pretreatment. In most animal subjects THC presented an analgesic effect when coupled with moderate doses of morphine. Such was the case with several trials involving patients with cancer-induced neuropathic pain. In another train of thoughts, one project led by the University of California Center for Medicinal Cannabis Research concluded that marijuana might be helpful in neuropathic pain triggered by various diseases. Participants (HIV patients) confessed to having experienced an improved life quality after smoking marijuana cigarettes on a daily basis. Dronabinol (synthesized THC) decreased the pain intensity in most subjects by the end of the research. On the other hand, a single study conducted on a period of almost 40 years showed that people smoking marijuana were twice as likely to suffer from lung cancer at some point in their lives. In spite of presenting many benefits, generalized consumption might trigger the emergence of severe adverse effects. The active components in marijuana might play an essential role in bone cell activity. It was shown that via activation of CB1 and CB2 receptors, the substance could stimulate bone formation and inhibit the osteoporosis process. 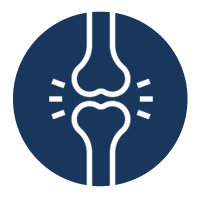 There is evidence suggesting that in both in vivo and in vitro studies cannabinoid administration is linked to bone metabolism. Data indicates that CB1 and CB2 deficiency and insufficient activity predisposes to age-related osteoporosis, especially in the case of postmenopausal female models. Marijuana could also diminish pain-related symptoms of arthritis due to its anti-inflammatory properties. Experts have reached an opposite conclusion in many other projects. In one study it was shown that massive marijuana smokers had a lower bone density than cigarette smokers. This implies the fact that the substance might actually prepare the onset of osteoporosis in spite of various trials stating otherwise. Marijuana is a broad-spectrum illegal drug with massive evidence in the domain of psychological research. The mind-altering property of THC is what led to the substance’s status as psychotropic, but researchers have investigated its other compounds as well. It appears that CBD, aside from owning potent stress relieving properties, can counteract THC’s negative manner of action, and act on the nervous system in a positive way. 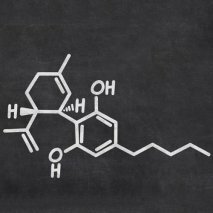 Evidence demonstrates that cannabidiol has anxiolytic properties in people with anxious behaviors. Its impact is related to CB1 and Serotonin A1 receptors’ activation and their subsequent operations in some brain regions. Experts believe that marijuana affects emotional regulation by decreasing anxiety and fear upon interaction with the two main cannabinoid receptors. Each of them has particular traits, but their base seems to be the same: changes on a neurobiological level. Older, as well as recent data, involves the use of marijuana in a series of therapies, the ones for anxiety disorders included. The majority of it emphasizes THC’s action on the CB1 receptor found in the central nervous system. While standardized studies show effects such as euphoria or somnolence in most patients, research suggests that marijuana’s productiveness might be connected to certain factors such as genetics, dosage or underlying medical conditions. One 3-year population-study conducted on some 8598 Swedish men and women led to the conclusion that cannabinoids and marijuana use might actually increase the incidence of either anxiety or depression. Given the information we have at the moment, it remains uncertain whether marijuana could play a role in the onset of anxiety disorders. Most preclinical studies show a mild increase in blood pressure following marijuana use. 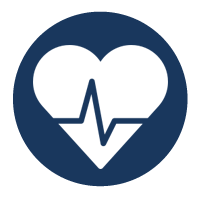 Whereas there is no well-established connection between the two elements, data demonstrate that cannabinoids’ action on the cardiovascular health might not be a positive one. High doses lead to decreased vascular resistance and occurrence of tachycardia symptoms in adults with existing medical conditions. In contrast, stimulation of the endocannabinoid system via cannabinoid – CB1 receptor interaction seems to contribute to the modulation of various vascular functions. In addition, it appears that regular use, be it in high or low doses, leads to tolerance. Still, this does not diminish the substance’s effects in the least. In vivo administration in rodents attenuates myocardial dysfunction, and might modulate cardiovascular response in models dealing with stress factors. In healthy individuals, it has an analgesic action; in a single study, researchers have noticed decreased blood pressure upon administration in non-smoking adults with no medical conditions. Marijuana is believed to express relieving effects in people suffering from neuropathic pain. 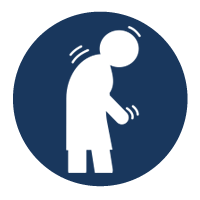 People with fibromyalgia usually have a poor health-related quality of life. This happens due to it being a chronic pain that affects more than just the day-by-day life. Patients with fibromyalgia have confessed to experiencing sleep issues and fatigue on a regular basis. Additional information from a project involving 28 users and 28 non-users showed that inhalation and ingestion of medicinal marijuana led to a reduction in fibromyalgia symptoms. Discussions on the theme of marijuana smoking and its resemblance to cigarette smoking remain a focusing point in present-day research. Side effects of the latter are known to the general public. However, it seems that understanding of the former is still affected by legality issues and stigma. As marijuana use increases, the medical world has tried to offer it a medicinal use as well. Participants in various studies confessed to having experienced respiratory issues such as shortness of breath or wheeze. Experts have also noticed airway inflammation and epithelial damage on cells of regular users. According to seven cases and ten reports, a number of 56 heavy marijuana smokers showed signs of bullous lung disease. 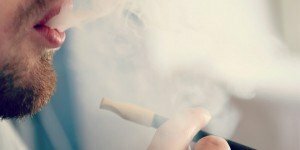 No connection was made between substance use and lung cancer. 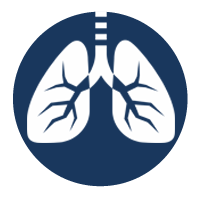 There is evidence that some smokers might experience chronic bronchitis, a condition often encountered in cigarette smokers. Cessation might improve the patient’s state. 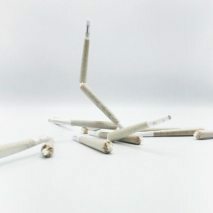 Existing data implies that habitual use of marijuana, be it light or frequent, does not bring about the severe implications of cigarette smoking. In contrast, one study on the effects the substance has on asthma sufferers showed a reduction of exercise-induced asthma following a marijuana and isoproterenol mix administration. Nonetheless, marijuana as any other illicit substance should be avoided by individuals with pulmonary troubles. When orally ingested, marijuana was shown to reduce lupus’ inflammatory action and provide relief from neuropathic pain. Lupus is a chronic inflammatory disease that occurs when the body’s immune system produces autoantibodies with which it attacks the healthy tissues. Understanding of the underlying cause and mechanism of action has yet to reach a peak. It is known that lupus patients, aside from showing a wide range of conflicting symptoms, suffer from chronic pain. No cure is known to this date. With proper treatment, it appears that people suffering from it can improve their general condition and extend life expectancy even in the most severe cases. Marijuana can also help in inflammatory response modulation. Evidence suggests that upon interaction with the CB2 receptor of the immune system, the cannabinoids present in marijuana might increase interleukin-10 levels (an anti-inflammatory cytokine) and decrease interleukin-2 levels (a pro-inflammatory protein). Research must provide more specific information regarding this domain of action. Disruptive behavior disorders such as ADHD or ODD are are at the same time an element of concern and stress, both for the one suffering and those close to him. While depressive symptoms are seen in some marijuana users, it appears that exactly this condition represents the link between marijuana use and DBD. The majority of individuals exhibiting signs of DBD suffer from depression. In another online survey, people with ADHD have confessed to experiencing an improvement in their train of thoughts, adding that they regard marijuana use as helpful and therapeutic. Some adults with ADHD who tried self-medication with cannabinoid-based substances saw a reduction of symptoms. There is data on marijuana’s side effects on ADHD as well. In a 25-year longitudinal research project, patients with attention-deficit/ hyperactivity disorder who were marijuana users showed increased ADHD symptoms. Contradictory data is further offered to the general public. In another trial, experts have stated that the substance’s impact on persons with the disorder might be more severe than previously thought. Brain development trajectories in young individuals who have tried marijuana could be affected if the consumer does not cease. Most clinical trials have concentrated on marijuana’s role in multiple sclerosis patients. Lately, increasing interest in the substance’s employment as part of other neurodegenerative disorders has emerged. 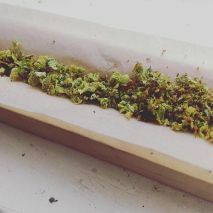 In spite of conventional therapies offering results every now and then, specialists have directed their attention towards alternative treatments such as medicinal marijuana use. The majority of neurological conditions imply the existence of nerve damage with consequences on a muscular level. Moreover, patients with either Parkinson’s disease, epilepsy or Tourette syndrome also show anxiety or depression symptoms. Marijuana might be successfully employed as an additional therapy in people with brain diseases. Whereas more evidence is required, experts suggest that cannabinoids might act on and even help in the recovery of the same neurological pathways that Parkinson’s disease affects. Additionally, medicinal marijuana provides relief from neuropathic pain, might have muscle-relaxing properties and improves the patient’s general state. In a 2014 study, people who have smoked marijuana have experienced a decrease in tremors and pain within 30 minutes from administration. Complementary projects point towards adverse effects as well. The endocannabinoid system, among other physiological functions, is known to modulate mood and motor control. 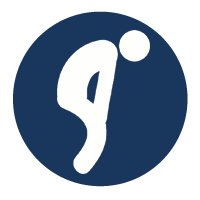 People with Parkinson’s disease who were usual smokers showed impaired movements and mood changes. Moreover, supplementary health concerns such as memory issues, hallucinations or cardiac problems may occur at any time. 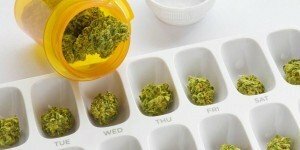 Approved use of medicinal marijuana in patients who have Alzheimer’s disease is long awaited as well. The marijuana plant has grown in popularity in the recent years due to its status as possible anti-inflammatory bowel disease agent. Evidence on the cannabinoids’ mechanism of action shows modulation of the human endocannabinoid system and ulterior therapeutic value. The digestive tract contains a considerable amount of endocannabinoids and synthesizing enzymes. Pharmacological projects suggest that activation of the CB1 receptor following marijuana use might inhibit gastric secretion and intestinal motility. Moreover, specialists involve cannabinoids in a series of physiological processes such as diarrhea or intestinal inflammation. In vivo studies conducted on rodents provide us with information on how marijuana cannabinoids modulate the gut endogenous cannabinoid system. 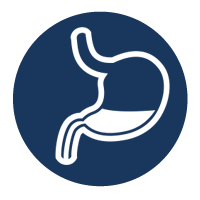 Therapeutic use has been noticed in patients suffering from Crohn’s disease and ulcerative colitis. Medicinal marijuana use led to a certain remission of inflammatory bowel disease symptoms. 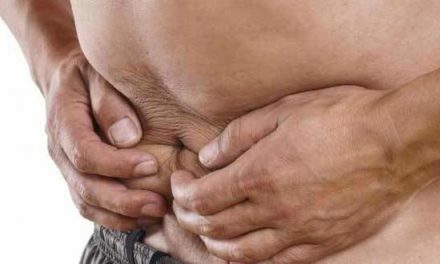 People with IDB have noticed a decrease in abdominal and joint pain, a better appetite and less nausea. The substance might be effective as an additional treatment for cancer patients. More research is compulsory to justify the existing data. Although a handful of clinical studies pinpoint marijuana’s benefits on health and well-being, there are critics of the substance who claim that the negative aspects have prevalence when it comes to medical treatments. Like many other illegal drugs, marijuana can lead to addiction; moreover, users tend to overdose, something which could be life-threatening. Increased mortality rate due to heavy marijuana consumption is a main topic of discussion these days. Research shows a connection between marijuana use and development of antisocial behavior, increase in anxiety and depression rates and even suicidal thoughts. As of today, the U.S. FDA does not approve the use of marijuana for medical purpose. However, numerous many states have legalized it and set up some rules to provide people with additional information on the substance’s role, benefits, and side effects. As of 2017, the Canadian federal government proposed a plan according to which both patients and cultivators should pay an excise tax on medical marijuana. The tax is supposed to be around 10% of the final retail price. In the U.S., numerous states have done the same. In 2016, the Pennsylvania Department of Health approved use in patients with severe medical conditions and required growers to pay a 5% tax on the sale of marijuana. California regulated marijuana use in the same year, demanding payment of a 15% excise tax. Massachusetts, Nevada, and Colorado are few of the states that followed its example. While the National Institute of Drug Abuse remains unsure on whether they should sustain marijuana’s legalization, there are currently 25 states on the American continent that have enacted acts to make it permissive by law. New York, New Mexico, Michigan, Arizona, and Washington are only a few of the states that approve and regulate the use of medical marijuana at the present moment. Recreational use of non-medical marijuana is legal in the District of Columbia and nine states: Alaska, California, Colorado, Maine, Massachusetts, Nevada, Oregon, Vermont and Washington D.C. Medicinal marijuana has been approved in Australia as well, in accordance with the federal laws. Illegal use and possession are fined up to $200. On the other hand, the European countries seem to be more permissive and aware of its effects on one’s health and well-being. Nowadays, an increasing number of European leaders, including those of Germany or Italy, deem medical marijuana as safe to use. There were some problems related to its recent legalization in France, which might sound weird, judging by the high number of people who have confessed to using it, although there was no legal basis for them to do so. Moreover, several French governors used a term that is far from the actual truth when they were referring to marijuana: “ the devil’s plant”. What is so evil about it? We have yet to find out. Numerous research projects show that its powerful compounds can treat a series of severe diseases of which we shall name a few: migraines, multiple sclerosis, epilepsy, inflammation or brain tumors. In addition, researchers are currently conducting studies to see if medical marijuana can alleviate symptoms of or even treat HIV/AIDS, Alzheimer’s disease or numerous other mental disorders. What makes medical marijuana so efficient? Its structure is comprised of more than 100 cannabinoids. They are compounds which the body naturally produces as a means to fight pain. This might be one of the reasons why specialists assume legalized marijuana is fully safe. The most important such constituent is tetrahydrocannabinol (THC) a pain-relieving ingredient as well as marijuana’s main compound. THC’s mechanism of action is a rather clear one: once the body absorbs it, THC attaches to certain receptors responsible for pleasure, movement, sensorial perception and concentration. 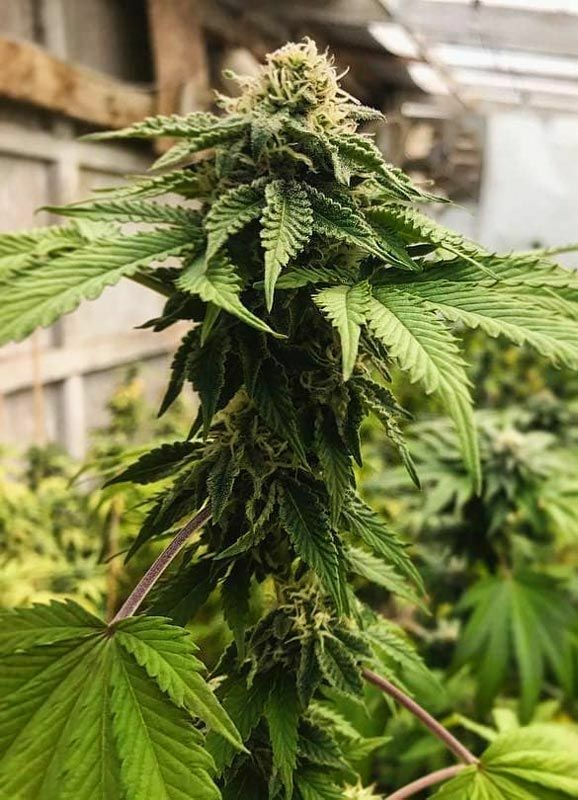 By altering the mind’s understanding in regards to the degree of pain, medical marijuana stimulates the dopamine production, inducing a state of relaxation. Often times, how one feels following administration depends on the dosage. 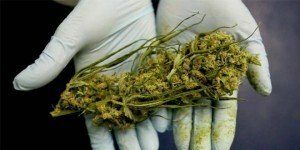 As more countries from all over the world have decided that legalizing the medicinal use of marijuana is the best choice, it is only normal for the number of studies conducted on its structure to increase. Inappropriate use of dangerous drugs can hardly be restricted, given there is an entire million-dollar market behind it. Even the abusive consumption of marijuana can lead to severe issues, if not used for medicinal purposes. Properly-conducted research projects could be the primary factor in deciding if medical marijuana is truly useful. There are numerous sites from which people interested could purchase medical marijuana at reasonable prices. There are also retail stores in areas where it is legal. The latter might be the better option for those who show curiosity for the subject. Often, buying online might be misleading. Buyers can receive products that are dangerous concerning dosage and composition. People who have never tried the substance before might make mistakes in picking the right quantity, something which might put one’s health and life in danger. 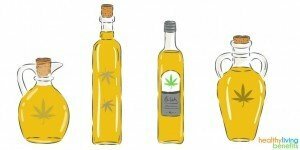 Additionally, the CBD content on the label of some products might not be the same as the one it actually contains. One study showed higher CBD concentrations than indicated on the label. In case one is interested in obtaining such items and does so for recreational purpose only, it is good to find a reliable source. Even better would be consulting with a physician beforehand to see whether or not medical marijuana could help. This may be a good advice to follow for patients with various medical conditions interested in alternative therapies. On the U.S. territory, there are numerous regulated marijuana dispensaries from which one can buy marijuana. They can be found anywhere in New York, New Jersey, Illinois and Connecticut to California, Colorado, and Arizona. The stores are not FDA approved nor are they legally registered by the federal government. Most people who buy medical marijuana, as well as those cultivating it need a card which allows them to do so in spite of uncertain safety status. The card has a 12-month validity and can be used in all areas where marijuana has been legalized in spite of being issued by a certain state. In terms of economic impact, it seems that buying marijuana brought about changes on a national level, at least on the U.S. territory. In Colorado, tax revenue hit the $70 million mark in 2015, while in Washington it exceeded $380 million. Legalization of the substance has led to the creation of new jobs, increased tourism and decreased criminality rate by 10% only in 2017. Currently, there is an array of products containing marijuana, although their purpose is rarely medicinal. 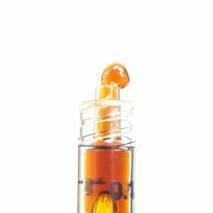 They include concentrates, vapor pens, topicals, capsules, and edibles. The U.S. FDA does not regulate marijuana due to its status as an intoxicant and possibly dangerous substance. However, once with the emergence of clinical projects on its chemical structure, experts have successfully integrated it in numerous treatments as a complementary therapy. The concern over the addictive properties of THC remains high. Nonetheless, marijuana has numerous other compounds with alleged therapeutic value. Increased understanding of its mechanism of action could draw attention from stigma-related claims. 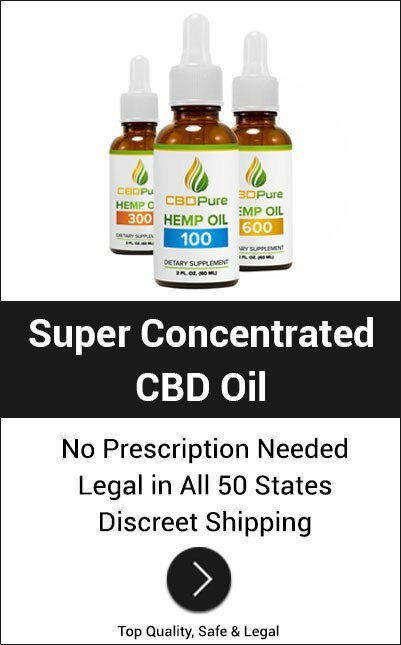 NextInfinite CBD Reviews: What Happens When You Buy Cannabidiol?